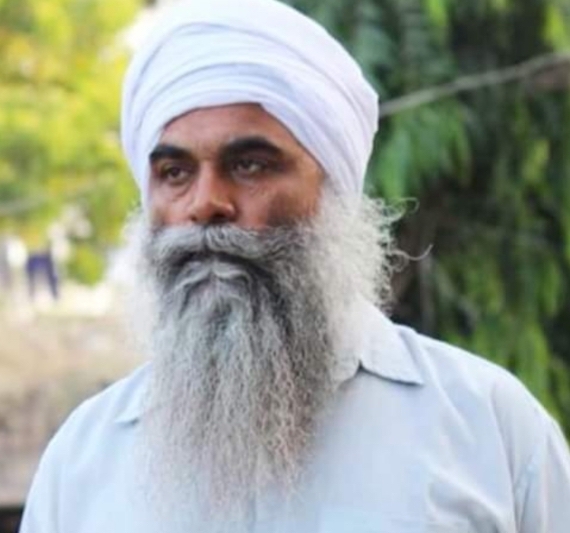 Chandigarh: As per documents accessed by the Sikh Siyasat News (SSN), the Punjab government has cleared premature release of Sikh political prisoner Dilbagh Singh Bagha. He was confined in Maximum Security Jail in Nabha and is presently out on parole. His name was part of the list of Sikh political prisoners maintained by Advocate Jaspal Singh Manjhpur. Notably, Dilbagh Singh was sentenced to imprisonment for life u/s 302 of Indian Penal Code in case FIR no. 19/05/1992 (Police Station Ghagha) on 26 February 2007. The documents accessed by the SSN show that Dilbagh Singh Bagha has spent 23 years (including remissions and 17 years without remissions) in jail. As per the policy of Punjab government regarding premature release of those undergoing imprisonment for life, a prisoner qualifies for premature release after spending 18 years (with remissions and 12 years without remissions) in jail. The order for granting premature release to Dilbagh Singh Bagha is passed by Punjab CM Capt. Amarinder Singh. The order places certain formal conditions for his release. Release of Sikh political prisoners who have completed minimum mandatory terms of their sentences have been a long pending issue. In 2004 the issue was first raised by the erstwhile Shiromani Khalsa Dal that had release the list of Sikh political prisoners for the first time. In 2012 Bhai Gurbaksh Singh had initiated struggle for securing release of Sikh political prisoners who have completed their jail terms. In 2015 Bapu Surat Singh started hunger strike on this issue and presently Bhai Dhian Singh Mand is holding “Insaaf Morcha” in Bargari village for past 6 months seeking, inter alia, release of these Sikh political prisoners.